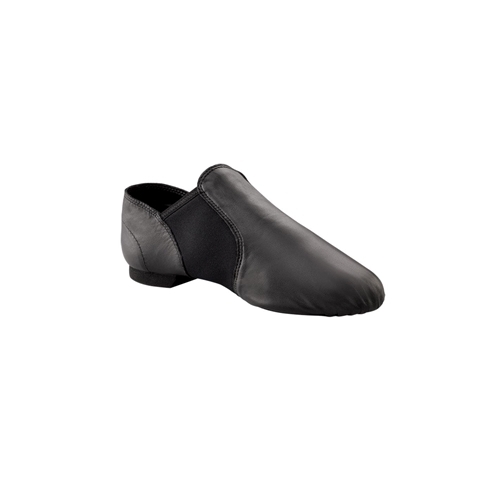 Capezio jazz slip-on adult shoe features a low profile pattern, soft durable leather, EVA out sole patch and heel. Heel counter features an Achilles relief that provides a softer top line, foam padded for added comfort and neoprene stretch arch insert. Available in black adult size 3-14. Fitting information: Order street shoe size, men order 2 sizes up.